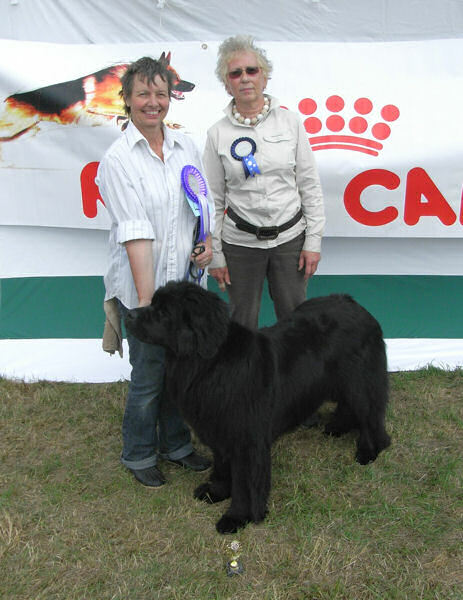 The Southern Newfoundland Club held its fourth Fun Day with Companion Show at the end of July. This year we returned to the home of Chris and John Bodman in Devizes and the day dawned with a gusty wind but lovely bright sunshine. 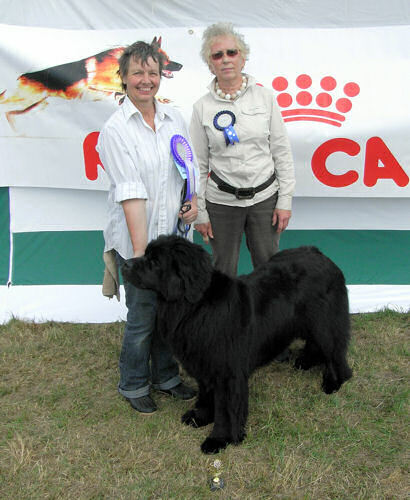 This year the Companion Show judge was David Browning (Spotmar) and later in the day a Match had been arranged between Newfies, Bernese and Leonbergers judged by Diana Vincent (Cumngo). There was also Good Citizens, tombola, raffle and guess the name of the bear together with an auction at lunchtime. Christine was again chief Cook for the day providing a welcoming bacon buttie and tea on arrival and a fabulous selection of hot food throughout the day. 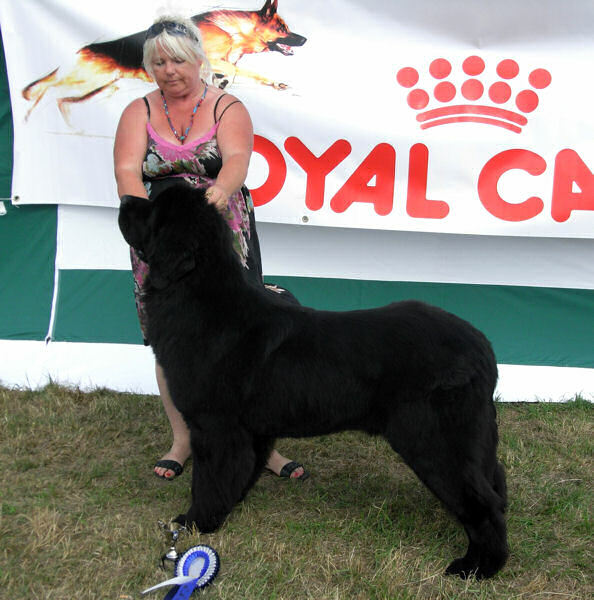 David had a good entry for the Companion Show with the eventual winner of Best in Show being Vincents' Alphabear That's Me at Cumngo and Diana's Best in Match was Pat Franklin's Acara Miss Brassibear of Shinglebay. The SNC raffle and tombola organised by friends of Chris raised over �100 and the auction just under �200 for welfare but lots of items had to be held over for the Club Show as time was short during the lunch break. Thanks to all those who donated items - it is greatly appreciated. Peter Oriani had completed his weight lift on the Friday before the show and although several hundred pounds have already been raised which were deposited with the Treasurer he has decided to do another lift before the Club's Open Show in December. All proceeds to Southern Newfoundland Club welfare (please see home page for more details). A big thanks to Chris and John for a lovely day and for all your hard work.